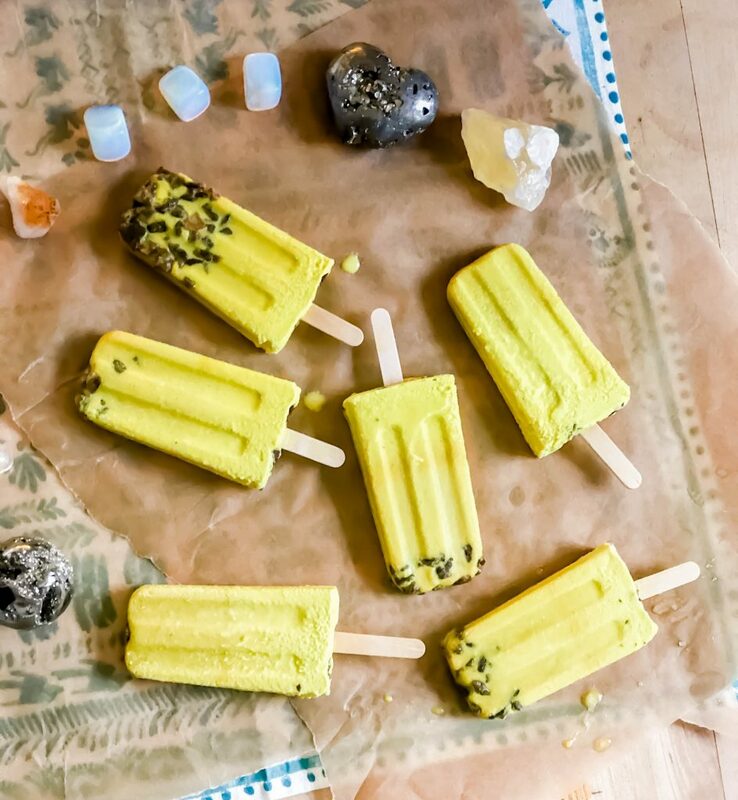 well it’s another sunshiny day here in laguna beach – a perfect time for a golden pop. to be perfectly honest with you i was excited all week to make golden turmeric chocolate chip honey ICE CREAM. the little kitchen was too hot for the ice cream maker and it failed. i’ll keep you up to date when we have a final version of this. until the enjoy the pops as they are such a quick and easy anti-inflammatory treat to head to the beach. add in the coconut cream, raw honey, raw monk fruit, & golden milk spice mix to blend. I used moondeli’s golden turmeric, cardamom seed powder, sunpotion’s ashwagandha root powder, vanilla bean, & black pepper fruit. 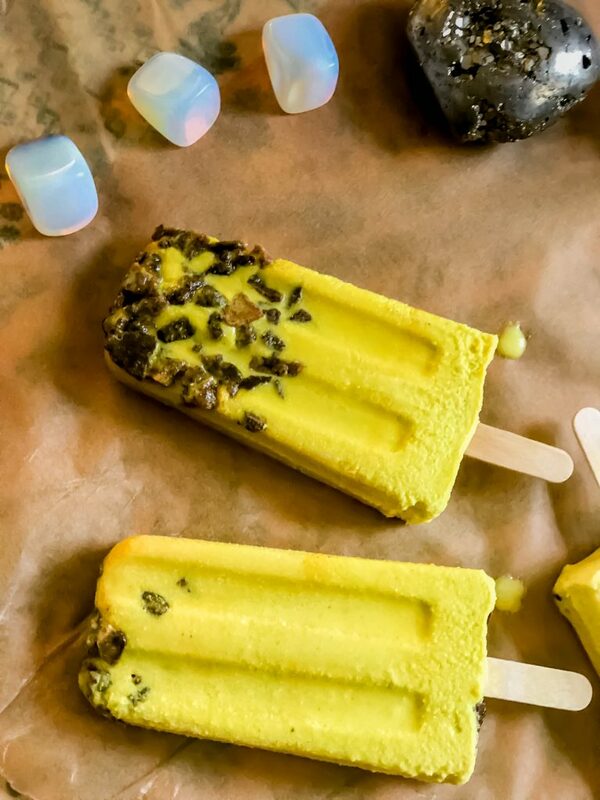 once the mix is blended add into your popsicle mold, and freeze. mix the chocolate batter until melted and taste until you like the taste. pour batter into a glass or plastic container and freeze, we used a standard glass 7.2” x 5” x 2.5 containers and popped into the freezer. 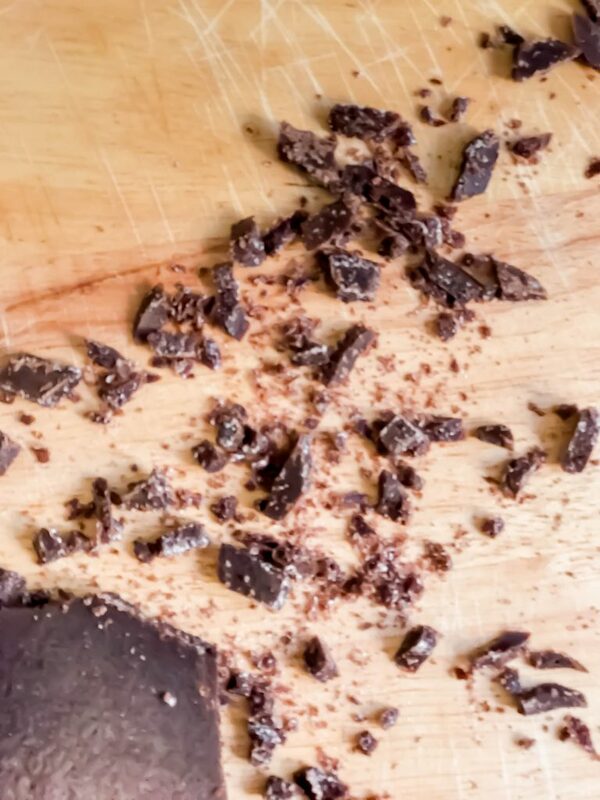 once frozen chop the chocolate lightly.